» Samsung and LG to unveil bendable OLED TVs at CES 2014? Samsung and LG to unveil bendable OLED TVs at CES 2014? 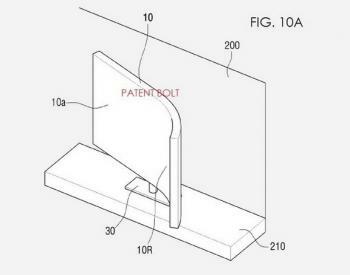 Back in May, The US PTO granted a new patent to Samsung that describes a bendable OLED TV. The idea is that you can use a remote control to bend the television so you'll get a better viewing angle. The TV will include special software that adjusts the image so it is not distorted by the bending. Today the Korea Times reports that Samsung will unveil a prototype bendable OLED TV at CES 2014 (January 7). LG will also unveil a similar unit. The report does not include more technical information, they only say that the the display size will be "huge". The OLED TV will have a plastic substrate and a back panel that can deform the display. It is possible that SDC will only unveil their prototype in closed meetings. Both LG and Samsung currently ship curved OLED TVs. Both are 55" in size and are only slightly curved. The TVs were first unveiled at CES 2013 and launched about half a year later. Will Samsung unveil new OLED TVs at CES 2013?